Don’t waste time in a dead-end job that doesn’t excite you. You deserve to wake up every morning and look forward to your day. Finding that job that balances stability with passion can be hard, we understand that. Have you ever considered a career working with pets? People from across the world are making the career change to the pet care industry because of its high demand for pet professionals and the job stability it creates. If you are passionate about animals, it’s not too late to find your ‘fur-ever’ career. The Academy of Pet Careers is here to help you turn your passion into a career. Let us help you with your career change! It can be a daunting task to change a career, especially if you have been in it your entire life. We are here to explain how easy the transition can be. Whether you are looking for a stable job or wish to start your own pet business, the pet care industry is easy to transition into. All it takes is a quick education and the motivation to change. Open Enrollment: Change your life, when you are ready. The Academy of Pet Careers doesn’t make you wait for the next semester or a certain starting date. You can begin your courses when you are ready. You are the top priority. Part-time or Full-time Attendance: Need to continue your current job while learning your new career? We understand! The Academy of Pet Careers offers Part-time and Full-time education opportunities for all certifications. Flexible Schedules: Career changes can be challenging, so at The Academy of Pet Careers, we work with your schedule to help you succeed. Not sure if you have the time to attend school? Ask our admissions director about the scheduling options we have available. Lifetime Job Placement Assistance: After obtaining your certificate, The Academy of Pet Careers is available to help with job placement opportunities. No matter how long ago your certification was, the APC is available to help place you in a position you love, using the skills you learned at our school. Express your creative side while working hands on with pets. The grooming industry is one of the fastest growing segments of the pet care industry. Because of this, there seem to be an unlimited number of jobs available to skilled groomers. Our courses can provide you with the skills and theory to quickly excel in the dog grooming profession and be highly sought after by employers. If you are more interested in helping dogs, the skills learned as a dog trainer can open many job opportunities. Dog trainers are skilled professionals and, as such, are found to be very desirable by all pet businesses. Being able to properly handle dogs make you more desirable as a leader. That is why so many dog kennels, day cares, and rescue groups employ trainers in leadership. Understanding how a dog’s brain works is essential in being able to help them. Whether you wish to work in a pet hotel, vet clinic, grooming salon, or rescue group, applied animal behavior should be a requirement. Our behavior courses focus on understanding canine body language, recognizing signals of fear, and learning how to condition a dog to be more confident and reduce fear-driven behaviors. 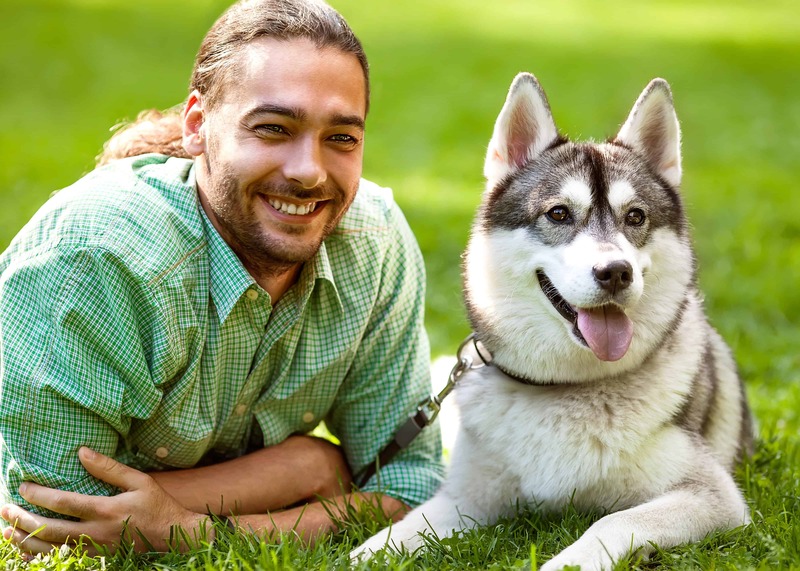 Ideal for leaders in the pet care industry, or students wishing to start their own pet business, our dual-certifications (“Leadership” programs) allow students to study both dog grooming and dog training. The skills taught in these programs overlap greatly. With both skills, you will have more tools in your belt and make you more desirable by employers. The are a lot of career change ideas out there. You first need to ask yourself, what do you enjoy? It begins with this question, then continues with finding income opportunities that can make your dream job a reality. If you’ve ever considered the following careers, becoming a pet professional could be a good fit for you. The skills and personalities that are found in these careers are very similar to those found in pet professionals. We find a lot of people coming from these backgrounds because of their desire to help others and their caring personalities. The nursing profession is without a doubt a rewarding one. When you think about a career helping others, this is often the first thing that comes to mind. To become a nurse, it requires up to 4 years of education from an accredited school. This barrier alone is why many people choose a career change to the pet industry instead. Ranging from 4 weeks to 35 weeks, our programs can have you in a career making a comfortable income in a matter of months. Teaching is all about helping others. If you love children, and have the confidence to lead the future generations, this can be a very rewarding career. We find many teachers moving towards pet careers because they can satisfy their desire to help others. And unlike the teaching industry, there are always jobs available to dog groomers and trainers. Many people don’t realize but the job of a dog trainer goes beyond obedience. Trainers must be skilled in teaching owners as much as their pets.